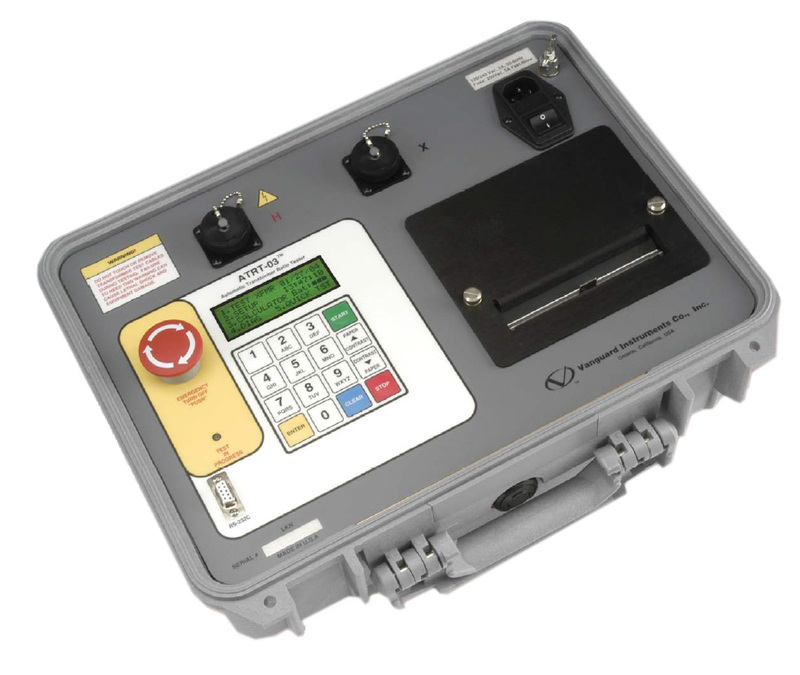 The Three-Phase Automatic TTR is designed to measure the turns ratio of power, instrument, and distribution transformers in a substation or manufacturing environment. The turns ratio test is an AC low voltage test which determines the ratio of the high voltage winding to all other windings at no-load. The turns ratio test is performed on all taps of every winding. The Transformer Turns Ratio tester (TTR) is device used to measure the turns ratio between the windings. Voltage is applied on the H marked leads and measured of the X marked lead by the test set. Ratio measurements are conducted on all tap positions and calculated by dividing the induced voltage reading into the applied voltage value. When ratio tests are being made on three-phase transformers, the ratio is taken on one phase at a time with a three-phase TTR until the ratio measurements of all three phases are completed. Measured ratio variations should be within 0.5% of the nameplate markings. Also check our Winding Resistance Ohmmeters!